It’s a good thing that I got all those months of daily practice under my belt before I tackled this particular project. 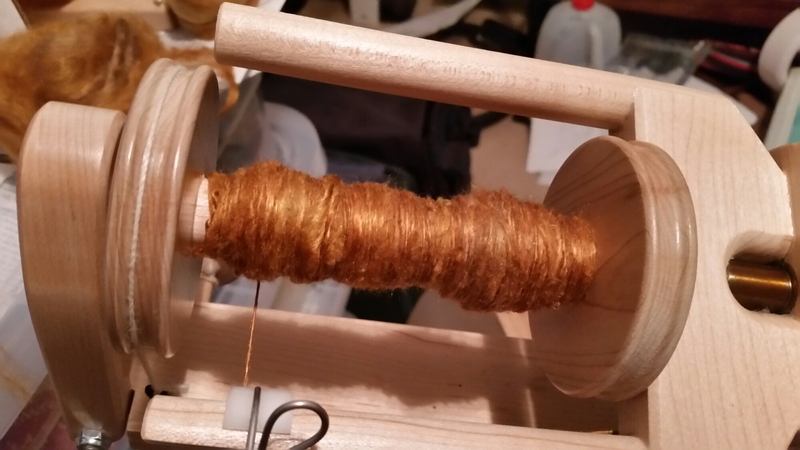 This form of silk really is not easy to spin. I found that the extensive pre-drafting I did last night was, in fact, very helpful when I went to spin it tonight. 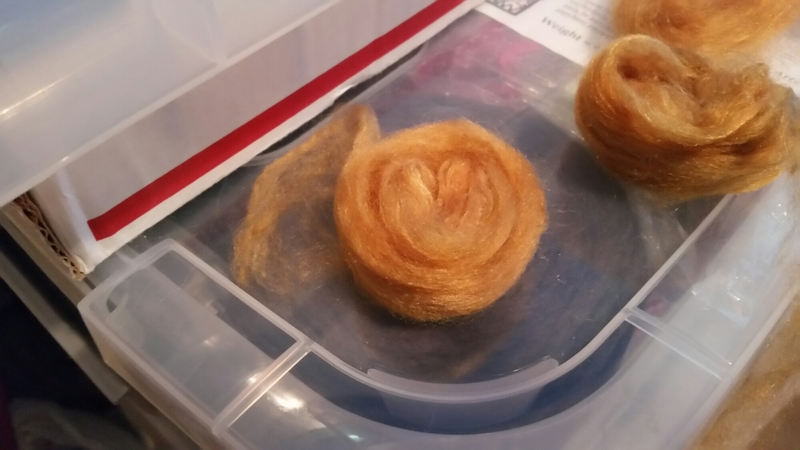 When I did the pre-drafting, I wound each layer up into a little coil, which was good for storage, but I found that I had to be careful when spinning from them. It was all too easy to let it get wrapped around itself. Fortunately, that became obvious very quickly, so another lesson learned. 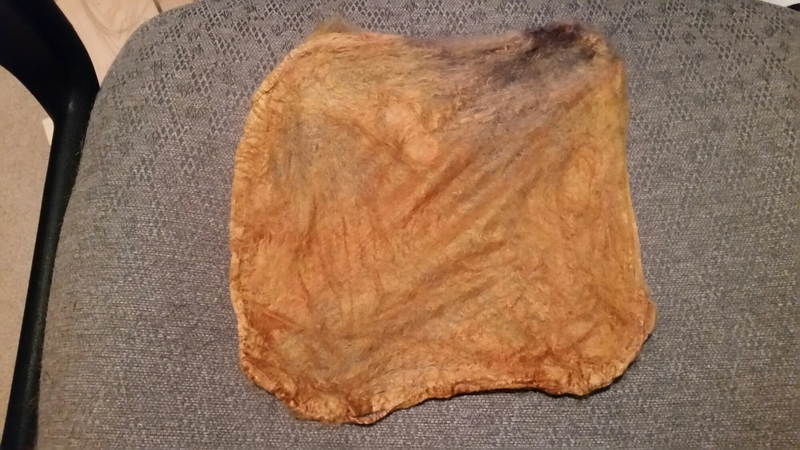 Tonight’s pictures show a single hankie out of its package, one of the little coils of pre-drafted fiber, and tonight’s progress.